Orangegrovers spread their running magic in all sorts of places this week including as far afield as Harrow, Scotland, and Berlin whilst also more locally in The Mournes and, as I like to call her, Port Glen One! Portglenone, meaning ‘The Fort of Eoghan’s meadow’ in Irish, is a busy wee town not far from Ballymena and would be famous enough for its Forest, Abbey/Monastry and Gig’n The Bann Festival, however, neither of those can beat the famous feed you get in The Wild Duck Inn! I’m not sure if Orangegrove’s Paul Tyro avoided such a huge feed or was living like a monk but there was no waddling about when he ran a quacking race indeed on Thursday evening in 13th place out of 234 with a very producktive 17:49! Well done Paul. The race was won by Mark McKinstry and Pauline Thom in 15:25 and 19:09. Kilian Jornet and Tove Alexandersson took gold for Spain and Sweden in the final race of the 2018 Skyrunning World Championships on Saturday with both athletes smashing the course records for the 29km Salomon Ring of Steall Skyrace by 20 and 19 minutes and with finishing times of 3:04:34 and 3:46:28 respectively. More than 700 runners headed to the Scottish Highlands to take on the technical Skyrace, which includes four Munro summits (Scottish mountains over 3,000ft / 914m) and 2500m of ascent. The weather was the best of the Skyrunning festival weekend, with little wind and a mix of sunny spells, cloud and rain, although many athletes described it as “atmospheric” on the summits. I’m not sure if our only club representative, Andrew Tees, found it atmospheric but he must have entered the atmosphere and clouds with the 2500m of ascent which provided spectacular views of Ben Nevis from the Mamores and had him scrambling over areas such as the Devil’s Ridge! Andrew made steady and super progress throughout in challenging territory and moved from 217th out of 529 after the Sgorr an lubhair section to 91st at Glen Nevis, 177th at Mamores Ridge and 166th at the finish out of 515 runners left. Congratulations in your feat Andrew. It’s not time to make a change, just relax, take it easy. You’re still young, that’s your fault, there’s so much you have to know…yes, Father and Son when sung by Boyzone showed what teamwork and a bit of talent could do…and the same can be said of our own Robin Montgomery and his son, Thomas, who took on Day 1 of the Mourne Marathon and came out singing! This duet must have been singing off the same hymn sheet by clocking up 280 points on Saturday when overcoming numerous timed sections and finishing 7th on Day 1 with a time of 5:31:08. The Mourne Mountain Marathon is Ireland’s only two day endurance and navigation event held each year in the beautiful mountains of Mourne in Northern Ireland. A competitive event for teams of two, who can enter one of four categories, covering between 35km and 55km over two days. Camp overnight and be self-sufficient. Walkers to elite runners. At the start of each day teams are presented with a route card listing a number of control markers which are identified by 6-figure map references. They must visit each control in the prescribed order but may choose their own route between each marker and there are three 2 Day classes/courses of different lengths and difficulty – Elite, B Class, C Class and D Class (walkers). There is also a 1 Day Score class of which Robin and Thomas took part in. There was no harrowing tale to tell when The Modfather, Michael O’Donoghue, visited London and ran in the Harrow Half Marathon on Sunday. In fact, all was well as Michael finished 111th out of 588 runners. Job well done Michael and another event conquered. The race was won by Matthew Robinson of Herne Hill and Sasha Birkin of Metros in 1:16:50 and 1:29:56, respectively. 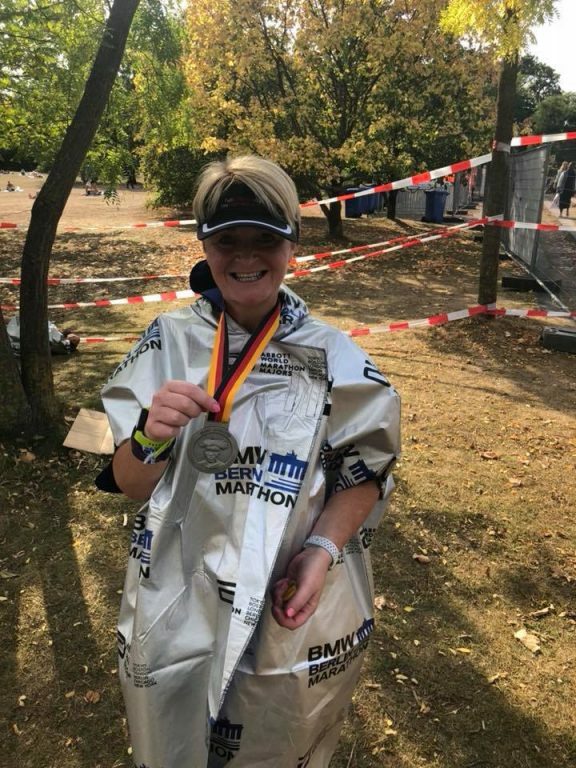 Two of our esteemed Orangegrovers took part in the fabulous 2018 Berlin Marathon and…wait for it…a world record was broken! Ok, maybe not by Gillian Logan or Jill Long on this occasion but they still represented their club fantastically on the day. 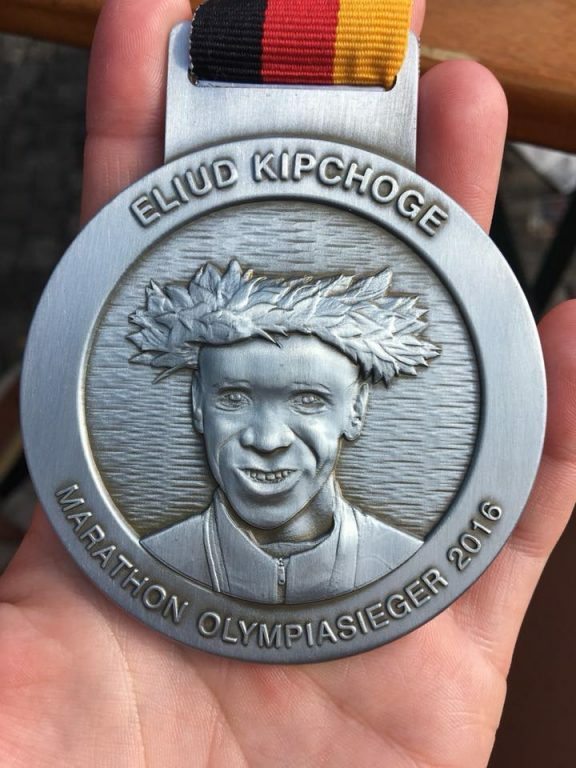 Yes, Eliud Kipchoge won with a fantastic world record in 2:01:39, obliterating the world record of 2:02:57, taking the huge margin of one minute, 18 seconds off that time. It is the biggest advance in the men’s marathon world record for over 50 years since the Australian Derek Clayton ran 2:09:36 in Fukuoka in 1967, slicing two-and-a-half minutes from the record. 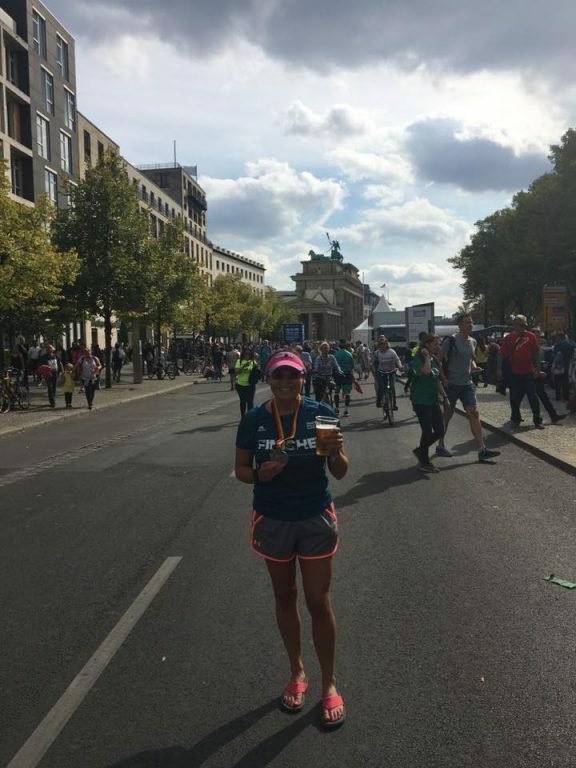 It is also the eleventh world record in the history of the BMW Berlin Marathon. History was also made in the women’s race as Gladys Cherono by breaking the course record to run 2:18:11, a personal best and the fastest women’s time in the world this year. Cherono won her third BMW Berlin Marathon title and went to number four on the women’s all-time list. It also set a record for participants of 44,389 runners from 133 countries with a record number of 40,775 finishing the race. The weather, location and atmosphere looked fantastic (as were the post-race celebrations I’m sure) and both Gillian and Jill performed great and enjoyed the occasion. Of notable Parkrun prevalence was some Parkrun tourism with Kimberley Reynolds in Krakov, Sarah Steer in Crissy Field and Michael O’Donoghue also running at Harrow before the Half Marathon the following day. Whereas, PBs were deservedly achieved by Jonny Weston, David Fletcher and Steven Gilliland, with 18:45, 20:46 and 23:10, respectively at Victoria Park….great running guys. 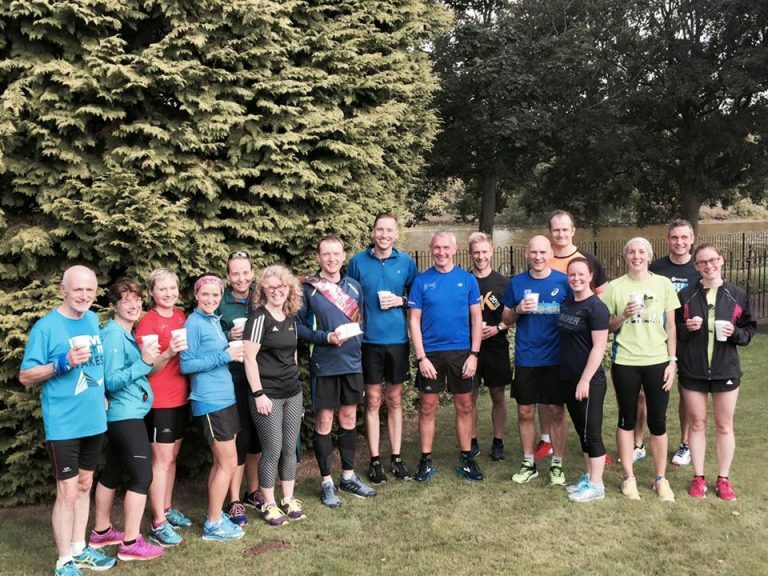 And…we can’t leave without mentioning Rodney Corrigan’s 100th Parkrun celebrations at Victoria Park on Saturday also…congrats Rodney. Don’t forget to volunteer. Email Gerry at belfastvictoriahelpers@parkrun.com to find out what you can do to help out.